It seems like it’s been ages since I’ve written a review, and that’s because it has been ages – almost two months in fact! 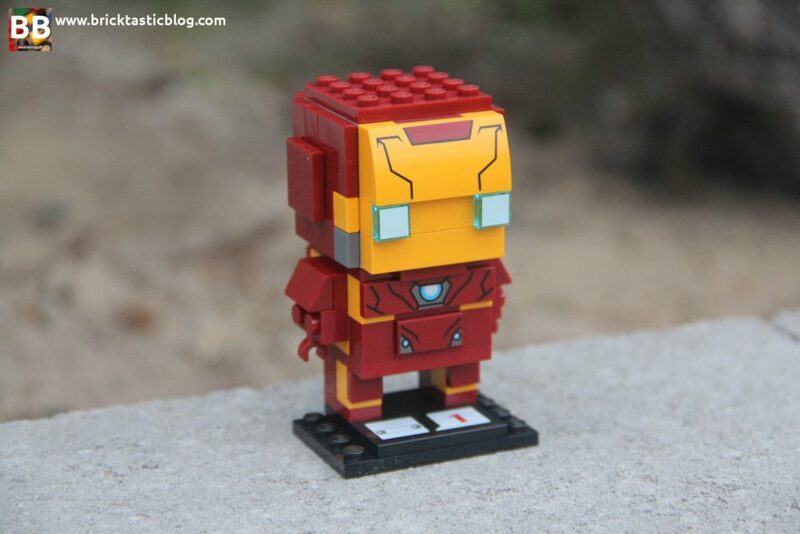 Let’s get back into it with the Marvel BrickHeadz. 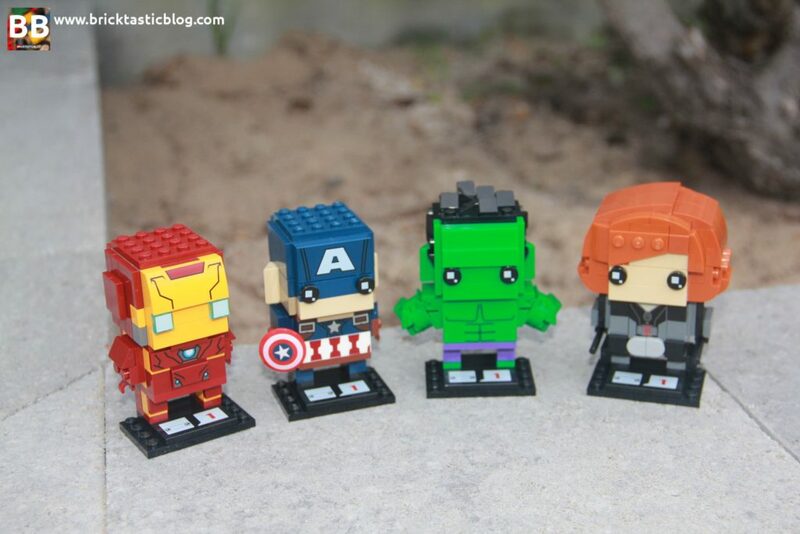 There’s the Cap, Iron Man, Black Widow, and Hulk! 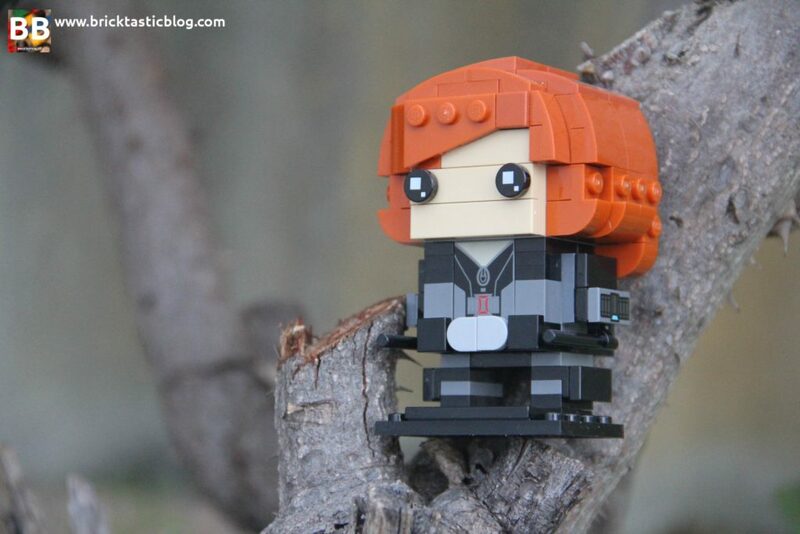 I’ve taken my time with building these as I’ve really enjoyed them – I want to make them last! After this I’ve got four more to go, but I’ll save building them for another time. 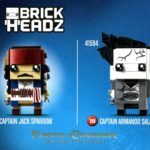 Just a disclaimer at the start – there aren’t as many photos as usual in this review, as the build is the same for pretty much all of the Brickheadz. 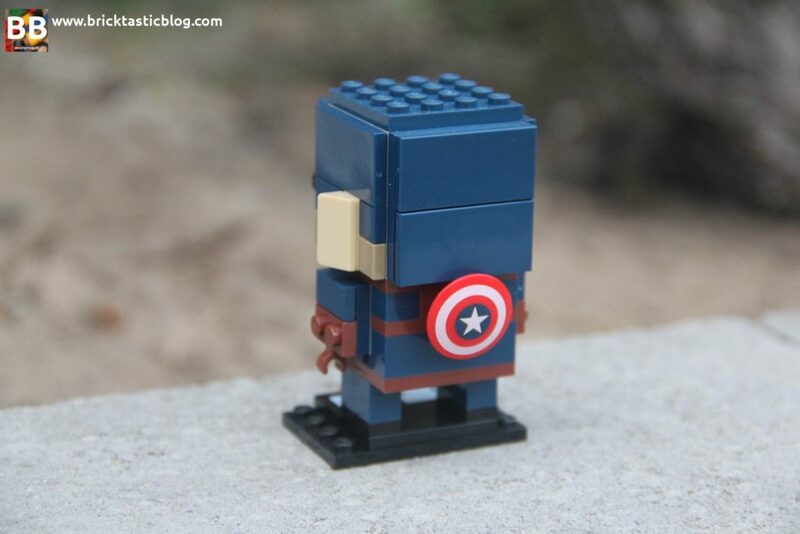 Instead, there’s just images of the Brickheadz from different angles. 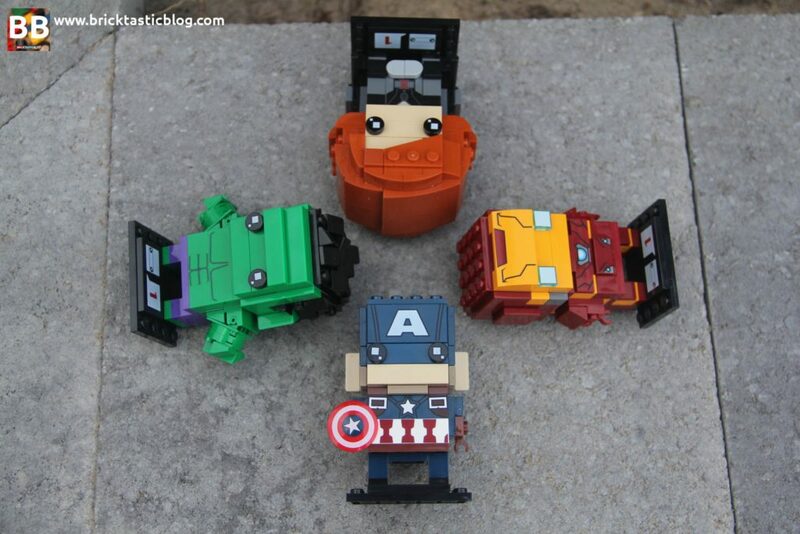 Each of the boxes for the Marvel characters are blue, with red for the Hulk for some strange reason. Maybe to show he’s angry? 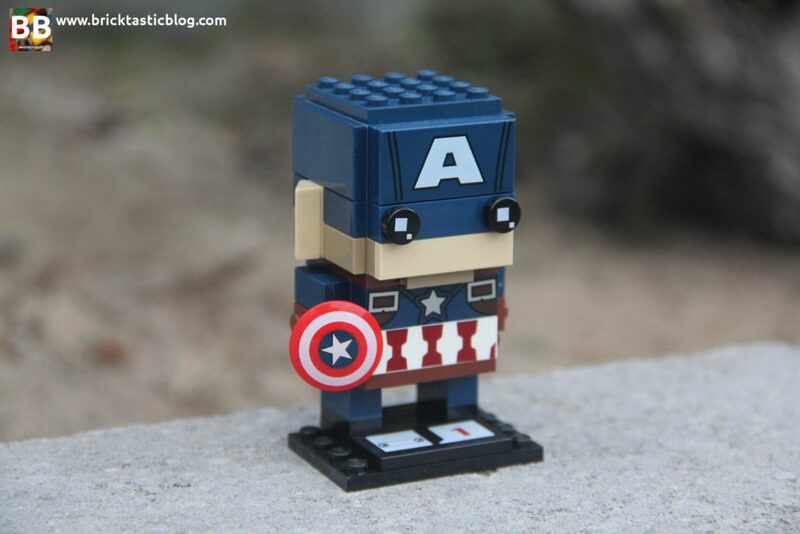 They are all a similar setup to the DC BrickHeadz, with pictures of the drawn characters as well as push tabs to open. Each box also has two bags of parts, an instruction booklet, and a 4×6 black plate, used as the stand. 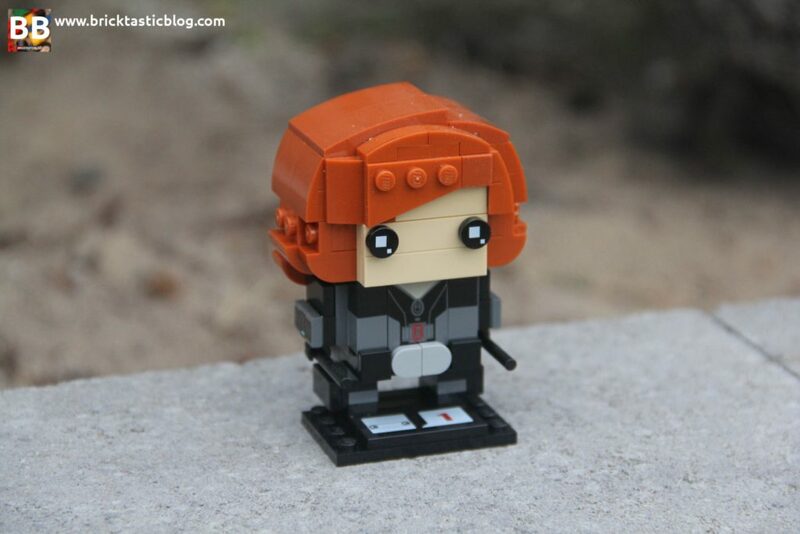 Like with the DC BrickHeadz, there are standard parts including the printed 2×4 tile with Nonnie, lots of different tiles and plates, and some sweet printed parts too, as well as the little pink 2×2 brain. Still funny, and very clever. 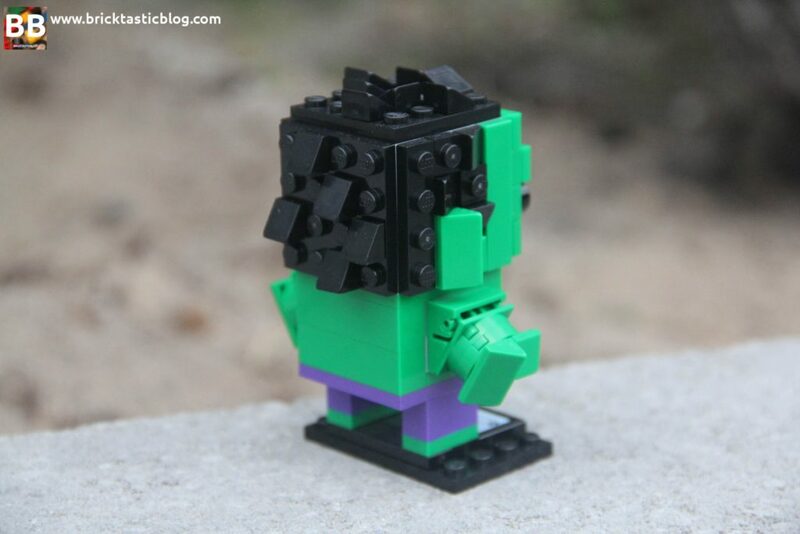 Just like the DC Brickheadz, there’s very little playability. 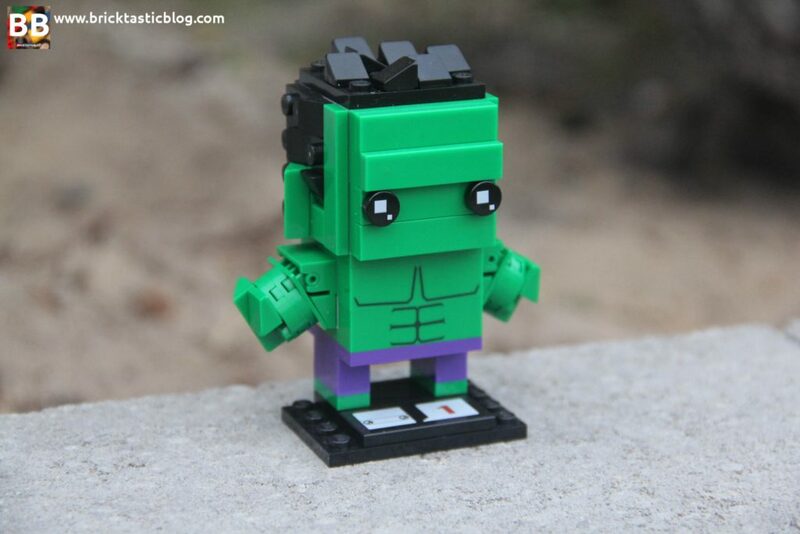 There’s really no difference in the build process with these and the DC ones, except for one – Hulk. His arms are attached to the green rocker bearings and plates first, then attached to the body. It’s quite clever. They’re also all very strong and sturdy. The rest is still the same. Body first, then head, hair, legs and stand. It’s quick, and very rewarding at the end. I didn’t have my camera handy for the build process with the Marvel characters, but if you’re curious, just check out the DC ones – it’s the same. 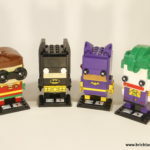 Like the DC Brickheadz, these sets are great value for money at $16. 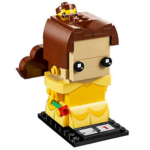 There are some excellent parts inclusions (SNOT bricks, tiles, slopes and printed elements), and is a quick and rewarding build, with characters that everyone knows. Christmas is coming soon (it’s scary to think that in September, but it’s true), so these are the perfect stocking fillers for any LEGO fan in your family. These sets are about as collectible as you can get! There’s supposed to be multiple series coming (that’s apparently the reason for that number 1 on the stand), a plethora of characters to choose from in the future, and loads of people creating their own. 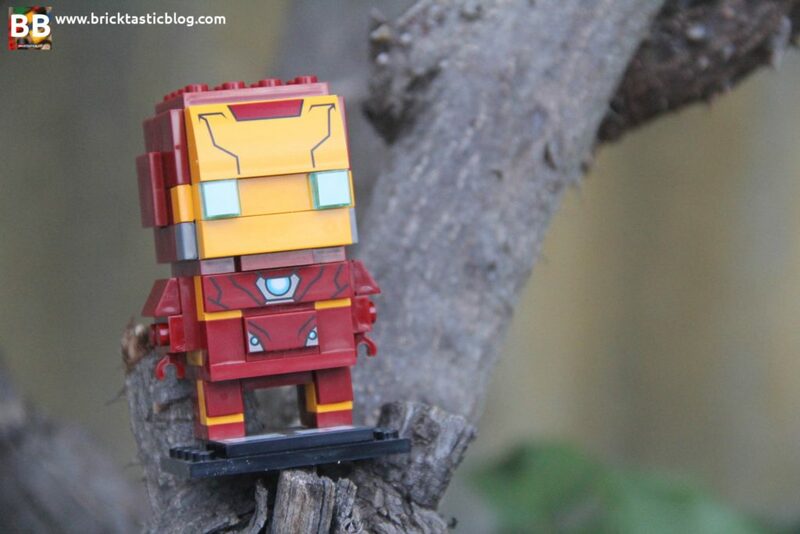 Which one of the Marvel Brickheadz is your favourite? Let me know in a comment below.